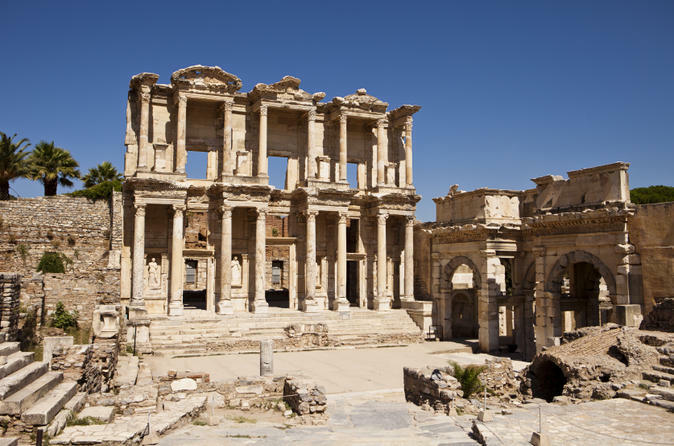 When your cruise docks in the Izmir port, see some of the most popular sights in Turkey on a private shore excursion to Ephesus. Your private tour guide will lead you to the major historical landmarks of the ancient city, such as Odeon, the Celsus Library, the Temple of Hadrian, the Fountain of Trajan and the Great Theater. You will also visit the House of Virgin Mary, where Mary spent the last days of her life. Discover three of Turkey’s top crowd-pleasers on this 3-day tour starting from Izmir. 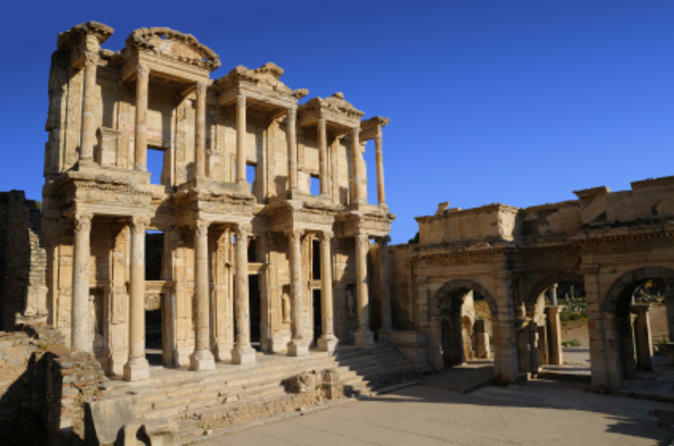 From your 4-star hotel base in Kusadasi, enjoy a full-day tour in and around ancient Ephesus, plus a full-day tour of Pamukkale and Hierapolis. 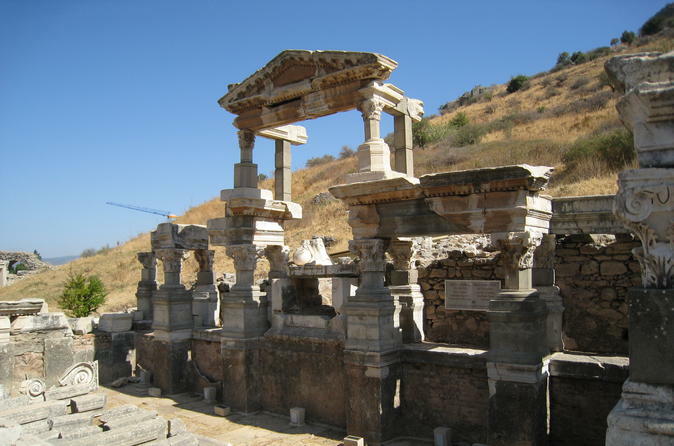 See the highlights of Greco-Roman Ephesus, and visit the House of the Virgin Mary and Temple of Artemis. 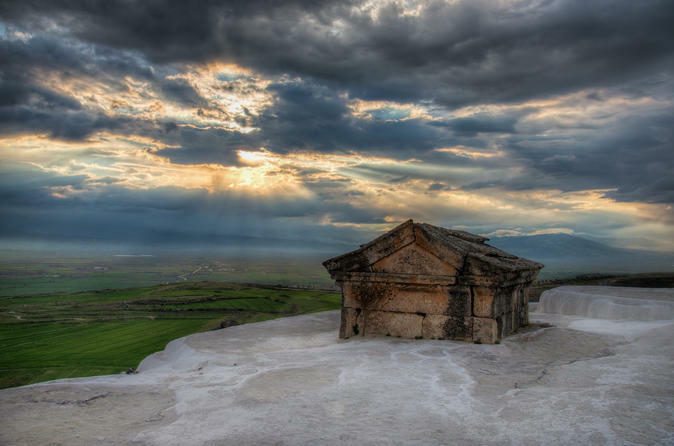 The next day, view the ruins Hierapolis and stunning terraces of Pamukkale. Along with round-trip hotel and airport transfers, and six included meals, your small-group tour is limited to 14 people for a personalized experience. 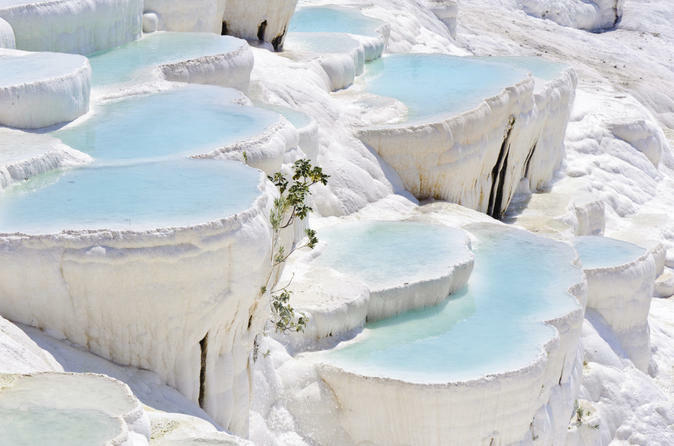 There's nothing quite like the unique experience of Pamukkale. It is known as the "Cotton Castle" as it boasts dazzling white, petrified castles and home to Turkey's famous thermal springs. Bring along your swimming suit and bathe in the therapeutic pools. Also visited is the Roman city of Hierapolis and the Apollo Temple. 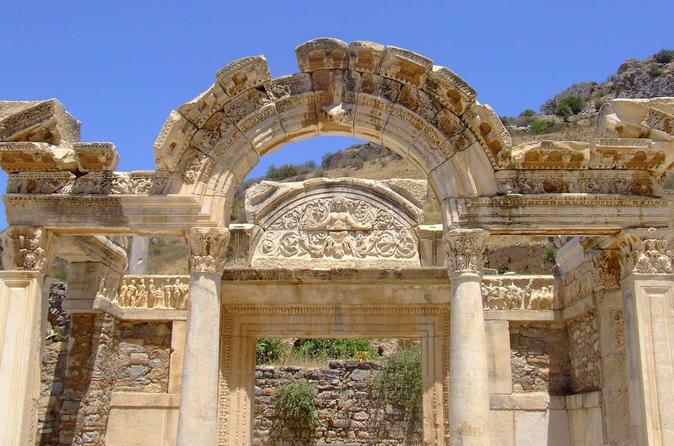 Visits to ancient city of Ephesus, Isabey Mosque,House of Mother Mary and Artemis Temple. 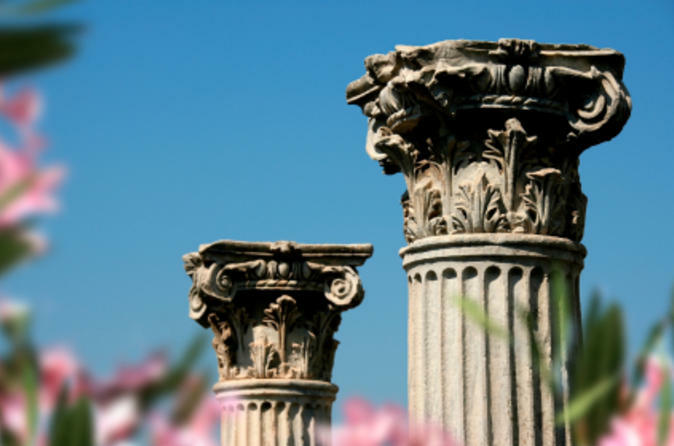 Explore the 7 Churches of Asia Minor program operated by Bible Oriented guide. 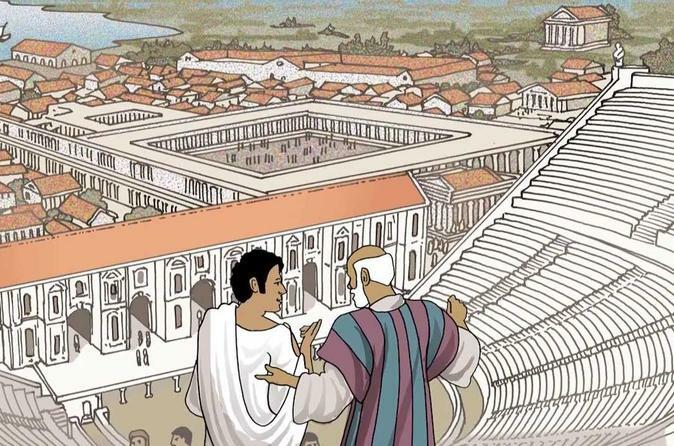 Includes 4 and 5 star hotels, 4 breakfasts and 4 dinners, entrance fees, AC transportation, Visit Smyrna, Thyatira, Pergamum, Sardes, Philadelphia, Laodicea and Ephesus. Today you will be marveled by the amazing sites and ruins in and around the Selcuk area, an area which is so rich in history and important artifacts. 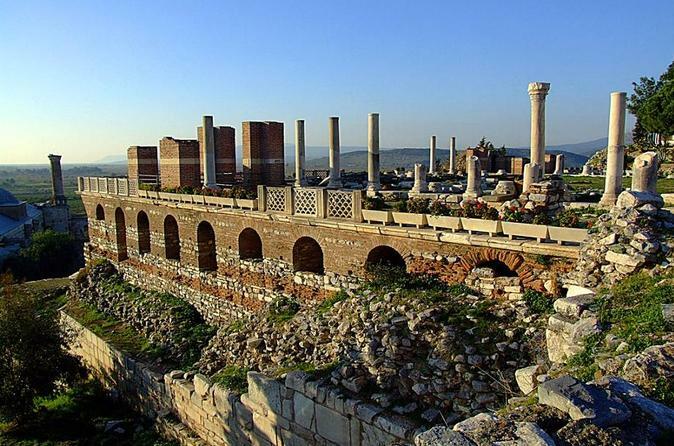 This day tour from Izmir will take you into Selcuk to visit the sites of Ehpesus Ruins, Temple of Artemis, Isabey Mosque and House of the Virgin Mary. Your professional local guide will take you through each site giving you a thorough run down of the history whilst you admire the amazing ruins right in front of you. The day will end with your return transfer back to Izmir. Visits to ancient city of Hierapolis and Pamukkale Travertines.